All Replies on Tips for sharpening 1/4” chisel? Tips for sharpening 1/4” chisel? 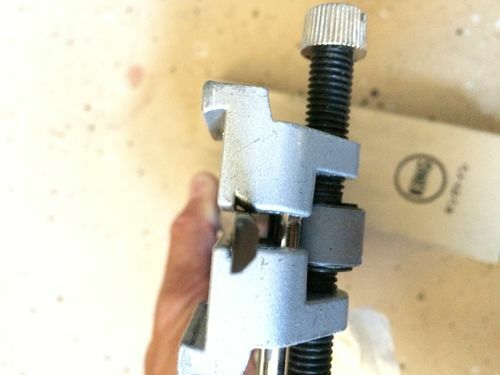 can you post a photo of just how you have the chisel clamped in the guide ? Lets see if these post up ok. I tried to get clear pics of the angles, hopefully the lighting is ok. 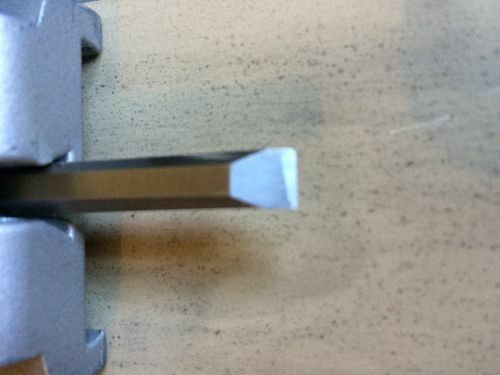 I think the problem is the 1/4 chisel doesn’t have wnough bevel to catch the bevel of the guide but not sure what to do without risking ruining the guide. Works perfect with every other size. But I am starting to make handcut dovetails and need the 1/4. Btw that shiny part is the microbevel at 30 degrees. Thanks! I have the same guide as you but don’t think I have ever used it on a 1/4” chisel. seated in the guide, just as you are experiencing. of the guide – not cut the guide itself. 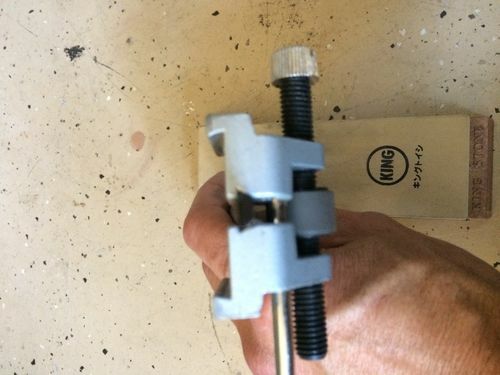 or – make some kind of homemade jig for the small profile chisels. I rarely use anything smaller than a half inch so I never noticed the issue before. Try putting some blue painters tape on one side of the pivot wheel to correct the skew. Once you establish the bevel at 90, free-hand the rest. Had same problem. Gets worse with smaller width chisels. 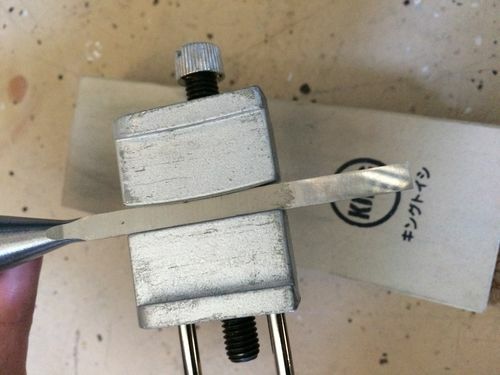 Either have to change chisel side bevel with grinder to match honing guide, modify honing guide dovetail slot to match chisel, or do what I did – toss that cheap guide in junk drawer and get a Veritas Honing guide. Problem with differences in chisel side bevels disappears with Veritas MKII guide. Lie Nelson produces a honing guide with interchangeable jaws to help solve tool fit issues as well. Wrap some sandpaper around the chisel run it through the guide may just be some casting goobers sticking up. A little hand pressure to one side can correct a lot of it as well.